The latest offering from Buddhist author and teacher Sylvia Boorstein, Happiness is an Inside Job: Practicing for a Joyful Life, explores the three meditative steps on the Buddha's Eightfold Path - wise effort, wise mindfulness, and wise concentration. But even if you aren't Buddhist, and don’t know what the Eightfold Path is, don't let that keep you from reading this book. Ms. Boorstein excels at telling engaging stories that make the principles of Buddhist practice accessible and relevant to anyone. She begins this book with a story of being interrupted from her writing one day by a phone call from a friend, who has just learned her brother’s cancer has worsened. After comforting her friend, she returns to work and discovers she has forgotten an idea she had, and notes the momentary annoyed reaction that arises in her mind towards her friend's brother. In response, she stops working, lights a candle, and thinks about her friend's brother, until she has restored her own caring connection to him, and everyone in her life. This story introduces Ms. Boorstein's thesis and reason for writing the book. Often Buddhist practice is expressed in terms of finding some kind of permanent clarity, of reaching a state in which the mind is no longer confused or deluded, whether that is called enlightenment, nirvana, or something else. But, as she tells us in her introduction, that is not the way it has been for her, in over thirty years of practice, and I expect, most people. So this book is "not about avoiding confusion, because we can't – but about becoming unconfused and restoring [caring] connection, because [that] really is the best way to live." To do this, she explores caring connection through the lens of Buddhist psychology and practice, within a variety of life-situations that anyone can relate to. For example, she explores the four Buddhist Brahma-Viharas of metta (friendliness), karuna (compassion), mudita (empathic joy), and upekka (equanimity) through three different experiences traveling on an airplane. She explores wisdom through an encounter she has with a store clerk, who has charged her much more than she expected for a mattress. Every chapter section includes a story that illustrates Buddhist practice in action in this way. What is unique in her approach is the emphasis on metta, or lovingkindness, practice as intimately connected to mindfulness. As Ms. Boorstein notes, often metta and mindfulness are introduced as two separate practices, different in both "technique and goal." 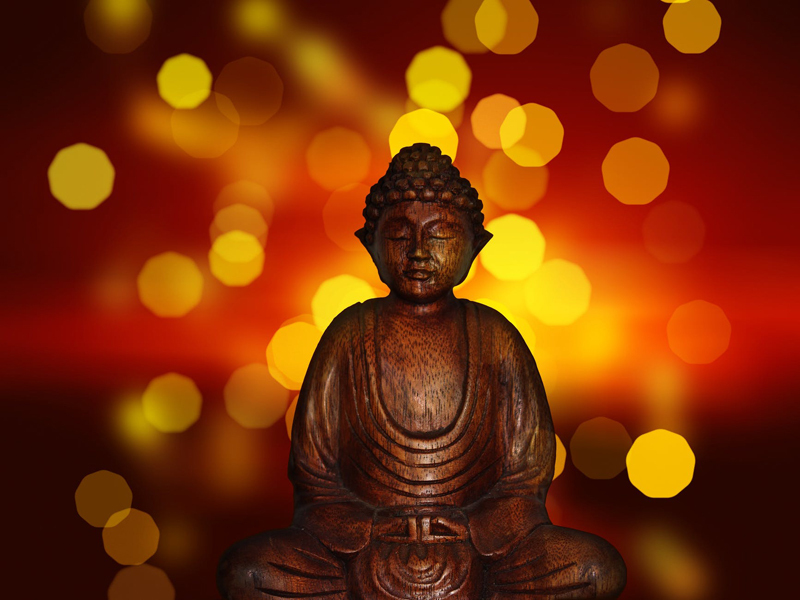 Her point is that these two are integral to each other - that when we restore caring connection, we return to mindfulness, and this is the essence of Buddha's path out of suffering. As she puts it, "restoring caring connection when it is disrupted, and maintaining it when it is present, is happiness. Not even, leads to happiness. Equals happiness." Happiness is an Inside Job: Practicing for a Joyful Life is a wonderful book for anyone seeking a way out of suffering, and provides a welcome antidote to the multitude of forces out there telling us we need more in our external lives to attain happiness. For more information on Ms. Boorstein, check out the recent interview I did with her. You can purchase Happiness is an Inside Job from Amazon below.